There will be a limited amount of First Strike rounds available. You must pre-purchase them to guarantee you will get them for the SuperGame. The discounted price of $100 for the 250 round case is good as long as you purchase them no later than Wednesday, April 24, 2019. After this date, the price goes up to the normal price of $110 and there will be a limited amount available. The new First Strike is a revolutionary new round designed for paintball. The weight and velocity are the same as a normal paintball and the outside shell is photodegradeable styrene (plastic) that is very thin and brittle so it can break on targets at very long distances. First Strikes are more than 25 times more accurate than paintballs and shoot over 2 times as far. Finally players have an alternative to accuracy by volume or backspin gimmicks that simply change trajectory. Become one of the first true Paintball snipers with First Strike. Features: Utilizing a combination of aerodynamic shape and fin stabilization technology, First Strike projectiles maintain their velocity longer. The result is 50% greater range and unrivaled accuracy. Fin Stabilized - self rifling provides superior range and accuracy Brittle Polystyrene Shell - Allows breakage on targets at extended range, withstands extreme temperatures, moisture, and humidity. 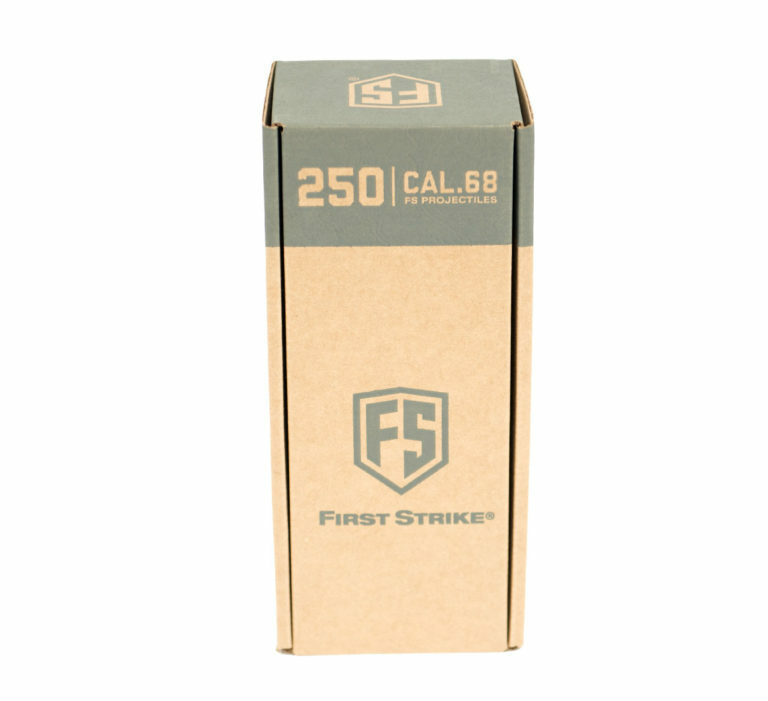 Photodegradable and environmentally friendly .68 caliber - compliant with ASTM safety requirements Ultra Thick Fill - superior marking and visibility Includes 24, 8 round tube of First Strike Paintballs Note: First Strike Paintballs will NOT work in all paintball guns. Your gun must have the proper conversion kit to use First Strike Paintballs.